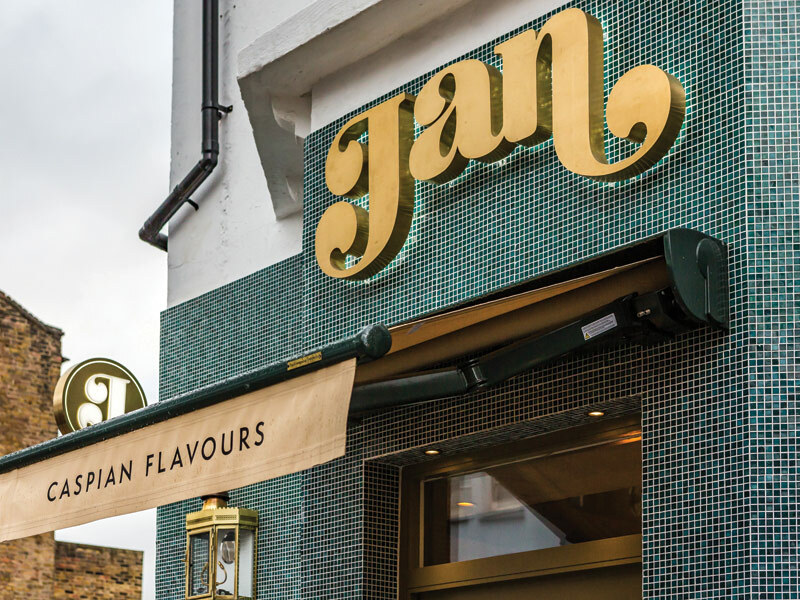 Inspired by the golden ages of the Ottoman Empire and Persian dynasties, the design of Jan restaurant, as delivered by I-AM, reflects a lost opulence and grandeur enjoyed by the former potentates of the kingdoms flanking the Caspian Sea, linking Europe and Asia. 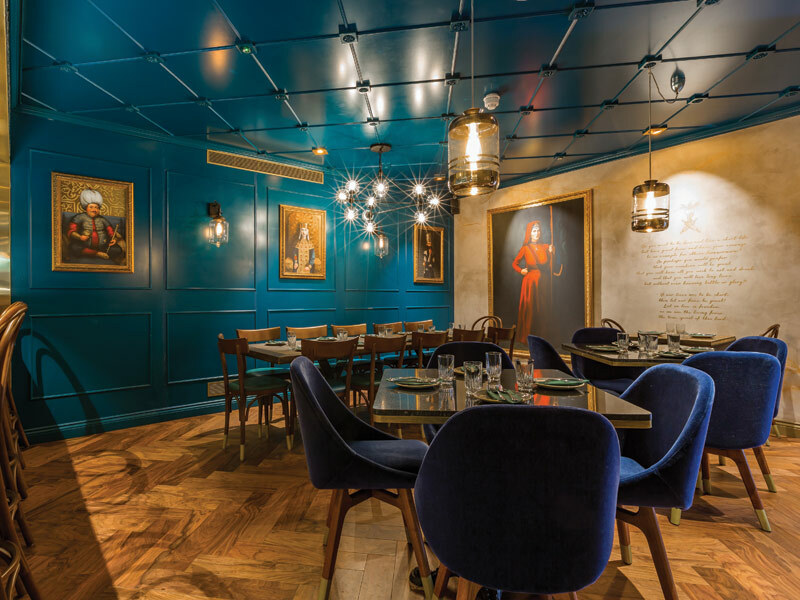 Designed with the clientele at the centre of the experience, the interior scheme has been carefully crafted to optimise customer flow and to provide a dynamic and intimate dining environment. Highlighted by touches of rich turquoise, oak, golds and brasses against a neutral palette makes for a warm and luxurious atmosphere, with I-AM selecting textured materials that reference the Caspian region. Guests are greeted in the front section of the restaurant by a feature mirrored ceiling, making the space feel airy and light. The mixture and variety of seating – from plush velvet banquettes to eclectic wooden chairs – allow for a homely and comfortable space. 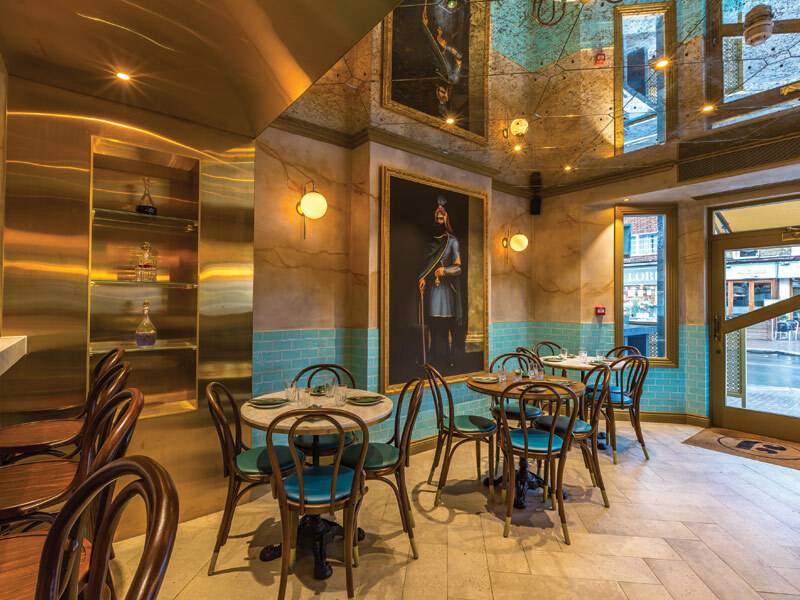 The design incorporates a feature bar in the middle of the space displaying a variety of authentic bitters and spices, while the spectacular open kitchen, at the rear of the restaurant, showcases a coal fire oven – the focal point of the design. Adding theatre to the restaurant, the open kitchen allows the aroma of the region’s wonderful herbs and spices to permeate around the dining space. The result is atmospheric and dramatic. ‘One of the best features of the scheme was the collaboration with the Armenian artist Hakob Muradyan to produce the unique portraits’, says Tynan. 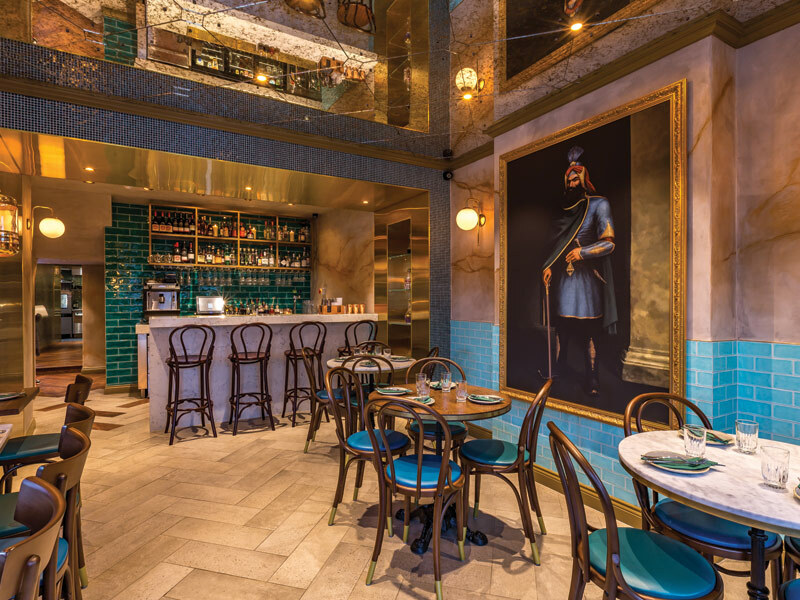 ‘These hang in each section of the restaurant and playfully represent the personalities of the rulers in the Caspian region.’ Another successful feature are the two key areas in the restaurant, which allow customers to enjoy the space at various times of the day. 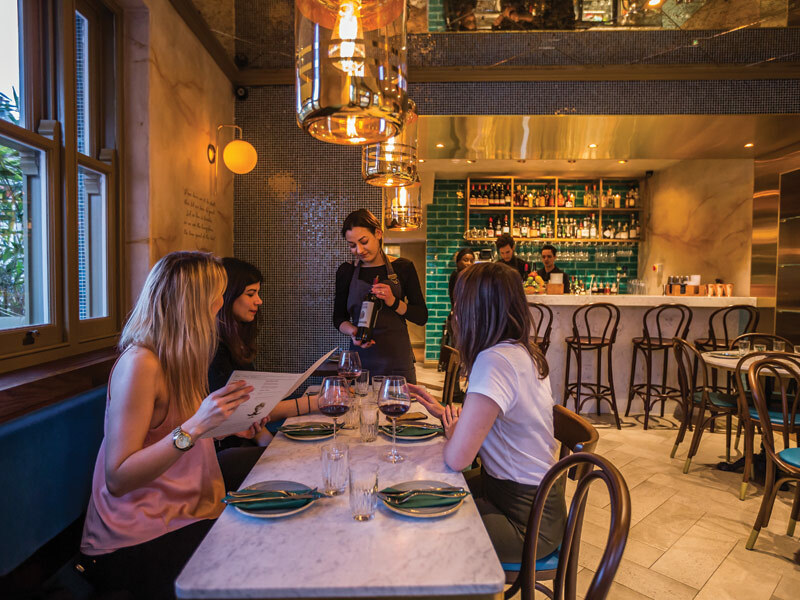 ‘The front space is perfect for brunch and cocktails; it feels light and airy by day, whereas the cosy and intimate back area is perfect for evening dining,’ adds Tynan.